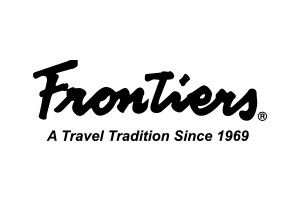 Frontiers International Travel is thrilled to offer a NEW Belize fly fishing, photography and cultural tour hosted by award-winning photographer, angler, and journalist Jess McGlothlin. The weeklong trip starts with three days of guided fishing for bonefish, tarpon and permit in the waters surrounding Ambergris Caye at El Pescador Resort and ends with three days of cultural and gastronomic activities at the famed Copal Tree Lodge in southern Belize, including visiting Mayan ruins, handcrafting a chocolate bar from boutique-grown cacao beans, jungle adventures, photography lessons, and cooking classes with the chef. The tour starts at $4,805 per person double and is scheduled for February 7-14, 2019. To view the full itinerary, click here or call 800-245-1950. Whether guests are dreaming of the angler’s Grand Slam, catching three species of fish in one day, or photographing a tropical paradise, El Pescador Resort offers an ideal Belize vacation. It was the Orvis Endorsed International Lodge of the Year in 2017. Meanwhile, Copal Tree Lodge, a member of National Geographic Unique Lodges of the World, has grown from pioneering ideas of sustainable food production and agritourism to an award-winning, world-class destination welcoming discerning travelers from around the globe. From the preservation of an intact 12,000-acre nature reserve to the implementation of daily practices that reduce the carbon footprint, Copal Tree Lodge is committed to conservation and local economic development.